I love this episode so damn much. It has everything I look for in a series centred around music. That medley…..I must have re-watched it at least 15 times.So my first two 12 Days of Anime posts were about older anime and now I’m actually writing about one from this year. In general, I love anime and manga that are about music and slice-of-life. Beck is a favourite of mine as is Nodame Cantabile. This particular scene is close to Chiaki’s piano concerto in Nodame Cantabile episode 8. 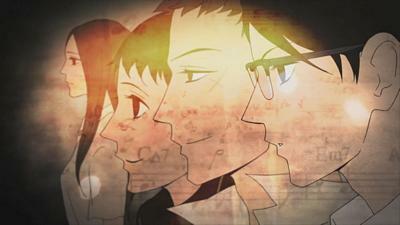 Short and sweet, the medley scene from Sakamichi no Apollon episode 7 was one of my absolute favourite moments of this year’s anime. It was just the right amount of cheesy – the reunion of friends through music – followed by the overpowering music composed by Yoko Kano. A treat for the ears that pulls on your heartstrings. What more can you ask for Not much since after this episode Sakamichi no Apollon got a little too ‘teen drama’ for my like. Still a great watch, but not as good as P.M (pre medley).